On July 11, 2018, the Cannabis Regulations to support the coming into force of the federal Cannabis Act were published in the Canada Gazette, Part II. This article discusses two new requirements contained in the regulations that licence holders should be aware of: (i) mandatory staff positions, and (ii) security clearance. Responsible person: This is an individual who has overall responsibility for the activities conducted under the licence and has the authority to bind the licence holder. The responsible person must have sufficient knowledge of the provisions of the Act and the regulations. Every licence holder, irrespective of the class or type of licence, will be required to have a responsible person. Head of security: This individual ensures all applicable security measures set out in the regulations are complied with and is responsible for the organizational security plan of the licence holder. All classes of licence holders, except for research and analytical testing licence holders, must have a head of security. Master grower: Holders of licences for both standard and micro-cultivation, as well as nursery licence holders, must have a master grower. This individual is responsible for the cultivation, propagation and harvesting of cannabis and must have sufficient knowledge of the provisions of the Act and related regulations. Quality assurance person: Holders of processing licences (both standard and micro) must have a quality assurance person. This is an individual who is responsible for assuring the quality of cannabis before it is made available for sale, investigating complaints about the quality of cannabis and, if necessary, taking corrective and preventative measures. Qualified person in charge and senior person in charge: These positions are only required for holders of cannabis drug licences. The qualified person in charge is responsible for supervising the cannabis-related activities authorized under the licence and for ensuring that those activities comply with the regulations. The senior person in charge has overall responsibility for the management of the activities authorized under the licence. Head of laboratory: A holder of a license for analytical testing must retain the services of an individual to serve as head of laboratory. This person is responsible for testing that is carried out by the licence holder. Licence holders may choose to have an alternate person for each of these positions and, in some cases, more than one alternate is permitted. There also appears to be no prohibition restricting one individual from holding more than one of the specified positions. The regulations include some transition provisions with respect to the existing positions of senior person in charge and quality assurance persons under the ACMPR. Individuals who were designated as a “senior person in charge” under the ACMPR will be deemed a responsible person under the regulations. Individuals who were deemed “quality assurance persons” under the ACMPR will continue to be considered the same under the regulations, however the requirements set out above will apply. 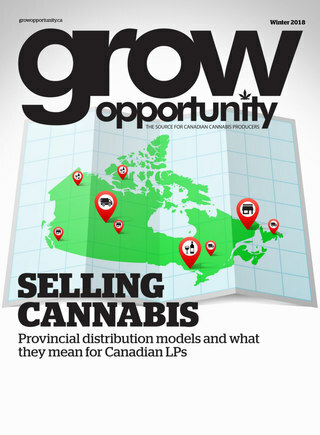 The creation of these mandatory positions add another layer of regulatory compliance for licence holders over and above what licensed producers currently experience under the ACMPR. In particular, each individual holding such a position (with limited exceptions) must obtain security clearances. The regulations expand the security clearance requirements currently under the ACMPR which provide that certain personnel must hold valid security clearances issued by the Minister of Health. The purpose of this requirement is to prevent those associated with organized crime or with past convictions for drug trafficking, corruption or other violent crimes from infiltrating the legal cannabis market. Generally under the regulations, security clearances are required for individuals who are in a position to direct or control the licence holder and make significant operational decisions. Individuals occupying all of the following positions, and any alternates thereof, are required to hold security clearances: the responsible person, head of security, master grower and quality assurance person. The only exception is for persons who may occupy one of these positions for an analytical testing or research licensee, in which case no security clearance is required to be held. In addition, there is a broad number of individuals at the top of the corporate, cooperative or partnership structure (as the case may be) who are required to obtain security clearances under the regulations. the directors and officers of any corporation that is a partner in a partnership that exercises, or is in a position to exercise, direct control over the corporation. Under the ACMPR, only the senior person in charge, the responsible person in charge, the alternate responsible person in charge, and the officers and directors of the corporation that holds the licence are required to hold security clearances. Thus, many of the security clearance requirements set out above and as contained in the regulations are new. Currently, the effective decision makers of a licensed producer can reside at a holding company level and maintain effective control over the licence-holding entity without having to obtain security clearances. The regulations aim to avoid such a scenario going forward. However, questions still exist over the interpretation of the words “is in a position to exercise direct control” and which individuals may be required to obtain security clearances in different circumstances. This ambiguity may pose a challenge to corporate structures for existing licence holders. Over the next few months and prior to the regulations coming into force, a better understanding of what is intended by the words “exercises direct control” will need to be determined in consultation with the government. Depending on the intention behind these words, they could have a significant impact on many existing structures in the marketplace. Entities that currently hold licences under the ACMPR or the Narcotic Control Regulations must, within three months after the Regulations come into force, provide Health Canada with the name and position of any individuals who do not hold a security clearance but are required to do so, and ensure that such individuals have submitted an application to obtain their security clearance. The regulations do not stipulate that security clearances must be obtained within three months, simply that the application must be made within three months. Accordingly, all existing licence holders should begin taking steps to ensure that they meet the timelines set out in the regulations. The introduction of the regulations will elevate the level of regulatory compliance imposed on existing licensed producers and future licence holders. Among other things, licensees will need to designate individuals to hold new mandatory positions and to ensure that such individuals have the requisite qualifications and are in compliance with the Act and regulations. In addition, a greater number of individuals related to licences will need to obtain valid security clearances from Health Canada, which causes greater regulatory complexity for licence holders and the possibility of significant changes to existing organizational structures. Prudent licence holders and applicants should take steps now to ensure that their organizational structures are appropriate in light of the new regulatory environment in which they will soon operate. Matt Maurer is vice-chair of the Cannabis Law Group at Torkin Manes LLP. Andrew Wilder is chair of the Cannabis Law Group at Torkin Manes LLP. For more information, please contact the Cannabis Law Group at cannabis-law.ca.